As I sit in my office writing this, the sun is streaming in the window on a lovely Christchurch winter’s morning. I noticed this week that there are some blossom trees coming into flower and I already have some camellias out in my garden. They may be slightly early but are a sign of what is just around the corner!! For those of you who have had some holidays in the past couple of weeks I pray that it has been a refreshing and relaxing break. This week is a very exciting time in the life of South West Baptist as we welcome our friends from Syria and Iraq to our community. A BIG thank you to everyone who has been involved in the preparation for their arrival. Your love and generosity has been amazing. This Sunday morning (July 22) we welcome Dr Bob Robinson from Laidlaw College who will be sharing with us about the relationships between Christians and Muslims. At our 7.00pm gathering we will celebrate the baptism of two young adults. Next week we will begin a new series on the book of Romans. A great book to explore and learn about God’s revelation about himself and his purposes in Jesus, the Messiah for the whole world. Kia pai tÅ koutou rÄ! 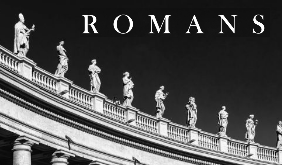 Dont miss our new Romans series starting July 29! FREE Family Movie Night! Candy bar available. 6.00pm – bring your dinner and your friends! Alpha in Mandarin begins this term, August 2. Contact Raymond for more information. Project Esther will be leading the services at the Women’s Prison on Sunday August 5. Please pray for the team as they prepare and lead these services.Mercy Basket – We have some spaces in our cupboards and are in need of canned corn, canned tomatoes, canned fruit, marmite, peanut butter, cereal and long life milk. Jordy would like thank you for all your support helping us to help others. Discovery Lunch for Newcomers is happening on July 22, 12.30pm at our Lyttelton St site. If you would like to come along and hear about the church, places to belong, learn, grow, or to contribute, please meet at the red podium in the Foyer after the 11.00am gathering. For info on future Discovery lunches email Grace at newcomers@swbc.org.nz. Ki Te Ao MÄrama – A series of hui exploring the journey to a world of light and truth, using MÄori language and focused on a MÄori world view and that of other indigenous peoples living in our neighbourhoods. This will take place monthly, beginning on Sunday July 22, 2.30pm – 4.30pm at the Mihi Winiata Whare at Hillmorton High School. For more information contact Doug McNeill 021662515 or Sean Pawson 0274992829. Alpha in Mandarin – On Thursday August 2 an Alpha in Mandarin (with English subtitles) will begin at Raymond’s home. Please invite any Mandarin speaking friends you think would be interested in learning more about God. Please keep this group in your prayers. Invitations at the Info Centre or Reception. For more information contact Raymond raymond@knockoutconcrete.co.nz. Re-Genesis Planting Day – We’re returning to the areas where we replanted last year, following the fires in February 2018. Happening on Saturday August 11 9.00am – 4.00pm. 1200 native trees have been donated by Trees for Canterbury to aid the replanting, now we just need some re-planters – come and join us! More details and a sign up form are on our website www.swbc.org.nz/regenesis. Rental Available – Four bedroom house with double garage in quiet cul-de-sac. Ideal for a family or as a flat. Located in Dellow Place, Spreydon. $460 per week. For more info please contact Debbie 021 613707. Children’s Ministry – We are in the position to offer a unique opportunity in the shape of an internship role. This could suit a senior school pupil, a school leaver, or a person looking to get back into some study and wanting some practical experience with children. If this interests you in any way, please talk to Rachel or email rsangster@swbc.org.nz. SYC International Fundraiser – The SYC International leaders are fundraising for their trip to Japan this December. Come into the Living Room this term to purchase soup and dumplings after our 11am gatherings and dumplings after our 7pm gatherings. WhetÅ« Stars – Fun, food and faith. For families who have and/or have had children with disabilities/speical needs. 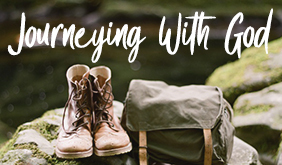 The story of Joshua and Jericho, with activities accessible for all. Saturday July 28, 2.00pm – 4.00pm, at our Balcairn St site. Phone Andy 338 4163 ext 238 or email acarpenter@swbc.org.nz for more information. Babies and Toddlers Parenting Course – This Toolbox course is starting on Thursday August 2 from 9.30am – 11.30am in our Cobham St Hall. Babies are welcome. For more information or to register contact Lidwina on 027 274 1686 or lclarke@swbc.org.nz. Nourishing Your Life With God – Come along each fortnight to engage with practices that will help you encounter and engage with the love of God. Beginning Tuesday July 24 from 9.00am – 10.00am in our Lyttelton St site Auditorium. Contact prayer@swbc.org.nz to register your interest. Sensible Shoes Study Groups – We have study groups confirmed for the following areas – Beckenham/Bowenvale, Somerfield, West Spreydon, Riccarton, Hoon Hay, Aidanfield, Westlake/Oaklands, Wigram and some centrally run. It’s not too late to sign up, but you’ll need to get in quick! Please contact Claire with your name and the suburb you live in crussell@swbc.org.nz 3384163 ext. 242. Marriage Preparation Course – For you and your fiancée, 5 Tuesday evenings from August 21 with the well-presented DVD series by Nicky & Sila Lee. $120 per couple (includes “Prepare” questionnaire and manuals). For info and registration forms contact Murray & Janine Close 338 3608, meclose6@gmail.com, or download a rego form from the church website. Healing Rooms – We welcome you to prayer on Saturday July 28, 10.00 – 11.00am, at 248 Lyttleton St. For more information, leave a message for Karen at Reception 338 4163. Easy Eats – We are looking for an enthusiastic volunteer to join our team and help with our Easy Eats website (easyeats.net.nz) using WordPress. Easy Eats is a social venture to help empower and enable families to provide their households with regular, affordable and nutritious dinners. We’re looking for assistance with finalising our website and ensuring it runs smoothly in the future. If you are able to help us then please contact David Wilson 027 208 3808 or dffk.wilson@gmail.com. Please contact Ruth or Alison 338 4163 ext 221 with queries or see Info Centre for our timetable. Monday July 23 – Bread Making with Anne Turner, the Sunday Bread Lady. 12.15pm – 2.00pm, Cobham St Hall, $5 lunch provided. Please RSVP by Monday July 16. Monday July 30 – Potluck Lunch, 12.15pm – 2.00pm, in Cobham St Hall, then bingo (with no money changing hands). Richard Brunton is the author of ‘The Awesome Power of Blessing’, part owner of the Colmar Brunton survey company and a preacher. He will be speaking at Papanui Baptist Church on Friday August 3 from 1:30pm. All welcome. BANGLADESH Nearly one million Rohingya refugees currently live in refugee camps in Bangladesh’s Cox’s Bazar. They live in cramped conditions with temporary shelters made out of bamboo and plastic sheets. Bangladesh is approaching its monsoon season when much of the country will face heavy downpours and the risk of flooding. An estimated 2500mm of rain is expected to fall. 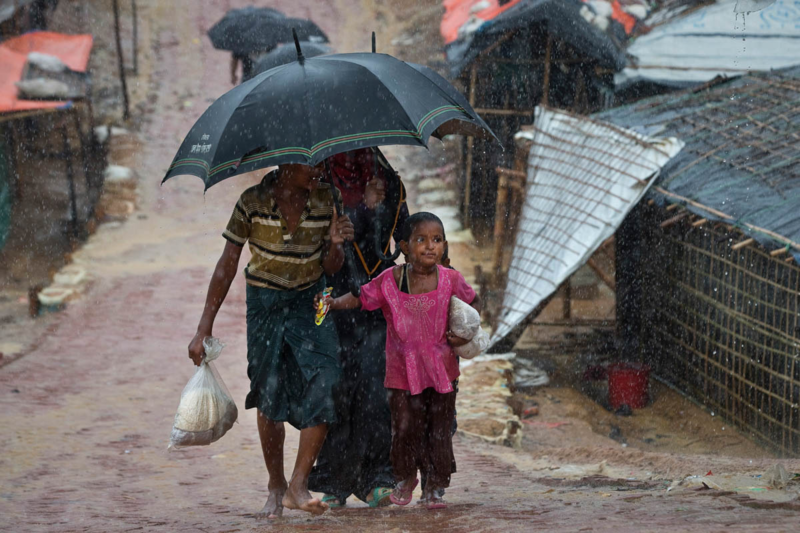 According to UNICEF about 200,000 Rohingya refugees are threatened by these rains. This means shelters, latrines and built-up structures will collapse, and there will be increased risks to health with waterborne diseases becoming more prevalent. Please pray for the aid agencies as they work to move people to safer ground. Pray for those living in the refugees camps, that justice will come. For the church within Bangladesh and around the world – that our response may be marked by compassion and a longing to see Christ’s love transform this situation. Thursday Mornings. For more information contact Lidwina. Join us in replanting the Port Hills, Saturday August 11. Click here for more details. Nourishing Your Life With God. Fortnightly Tuesday mornings beginning July 24. Register here.